Keith Urban makes everything sound so effortless that it can be easy to overlook songs that legitimately could have used more effort. If he’s going to use outside material, he should be more selective than he was this time around. I really like this song but I agree with Hoggy that Golden Road and Be Here were far better than Love, Pain … and Defying Gravity. I thought the same thing when I reviewed this song! It doesn’t even come close to Raining on Sunday. I’m opposite – really like the song, but find the production kind of boring and stiff compared to Keith’s best work. The song is similar in structure and tempo to “Days Go By,” which is pretty intricate instrumentally. This one just kind of bangs out the chords and calls it a day, though I do love the electric solo and how it actually serves a purpose in the song. I like this one quite a bit. I really wish he’d get rid of the drum machine obsession that he seems to have these days though. He even used it on a live performance of “Raining on Sunday”, which ruined the performance for me. I think it works okay here, but it’d be better without it. I like this song a lot better than “Sweet Thing,” but not quite as much as “Kiss a Girl,” which incidentally took a few months to really grow on me, and now I love it. I’m with Kevin – “Raining on Sunday” is the far superior cover. Nothing in this era of Keith Urban seems to match his previous efforts. …spell catchy – i’m in. I don’t mind this single, and actually like a little more than “Sweet Thing” and “Kiss a Girl”. But I agree that his albums have been on a downward spiral since Be Here, and that this is far from his best effort. I’m hoping that his next album brings a bit of a creative resurgance from Keith. Also…I wonder why “Thank You” wasn’t released as a single from this album. Production issues aside, I still think it’s lyrically the best thing on the album, and I could see it going through the roof for him if released. I just wonder if there’s a reason for why it’s been passed by. 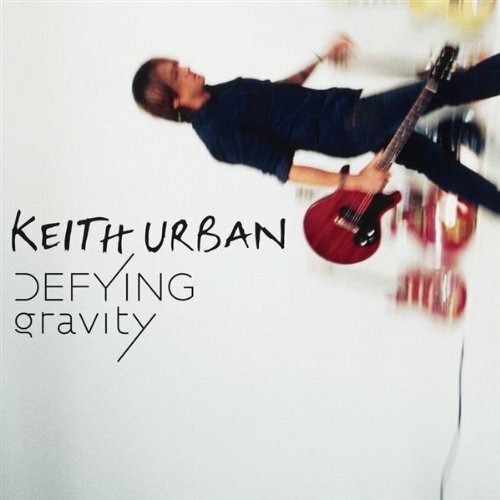 When Keith attempts to make and sign country style songs he does his best…Memories of Us, Raining on Sunday, Tonight I Wanna Cry, I Want to Be Your Everything, Where the Blacktop Ends, etc…If he wants to be a pop artist then he should get off country radio and switch his marketing appeal. If not, then go back to doing what you know you can already do, which is make country or somewhat country style songs. Dan said it well. This song just “bangs out the chords and calls it a day.” Gimmicky production aside, the song is not especially well-written either. Mike took the words right out of my mouth. I wish Keith would quit courting the country market, because much of it is a poor excuse for country. What’s wrong with you people? If he wants to call himself country what do you care? If country were in the hands of Willie Nelson,Kris Kristoferson or even Hank Williams there would be no country market today. If it were, Dwight Yoakam would be a hit maker. Country now is different than what it used to be and that is just the way it is. “Defying Gravity” is a very strong album with plenty of good lyrics and music to ponder. After listening to a nostalgic closing piece like “Blessed,” one will want to reflect upon their own childhood memories and of Jesus and his love. Thus, Cheryl Wheeler succeeds in motivating, inspiring and entertaining us with her music.